Queen palms are easy to care for as long as they are planted in well-drained soils that keep the roots aerated. Queen palms grow in USDA planting zones 9 through 11, areas that often have sandy soils. Sandy soils are porous and problematic because nutrients tend to leach out easily. Provide the best care for a queen palm tree by making sure it receives the recommended amounts of fertilization. Pale green leaves and a lack of robust growth indicate a need for more nitrogen. Translucent yellow or orange leaf spots means the palm needs more potassium. Potassium deficiency is a common condition that affects all kinds of palms and not just the queen palms. Magnesium deficiency shows up as a yellow band on the outside of older leaves, while the middle part of the leaf stays green. Scorched or frizzled leaves indicate a manganese deficiency. These conditions are prevented with a good fertilization program. Palms may be able to manage with 2 applications but less is not recommended. For palms under 8 feet tall, 2 to 5 lbs. is an adequate amount. 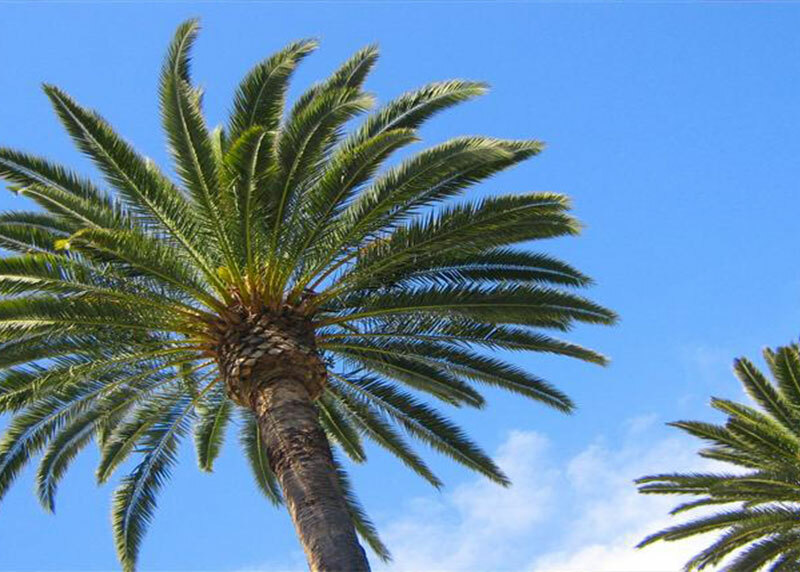 Newly planted palms receive less, generally 1 to 2 pounds, depending on size. Spread the fertilizer by hand under the canopy. Avoid allowing the fertilizer to touch the trunk, because it may damage newly emerging roots.